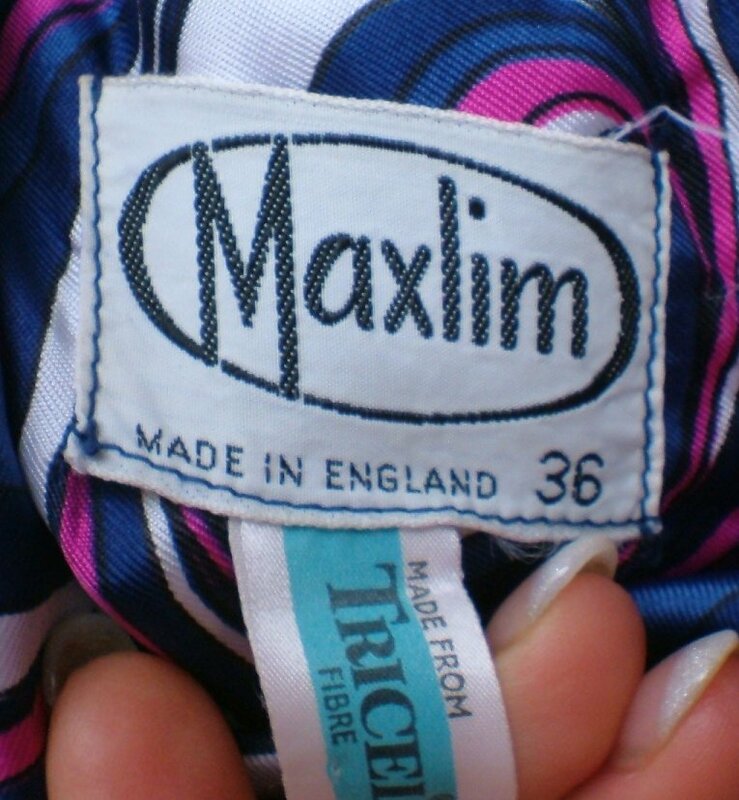 Vintage 1960s silky psychadelic tunic dress by Maxlim. I think this was what was called a 'sack dress': loose fitting, but fits at the bust, shaped out to the hips then slightly in to the hem, which is at the knee. This dress also has a round neck with roll collar, no sleeves, and is made from a fabulously silky fabric. 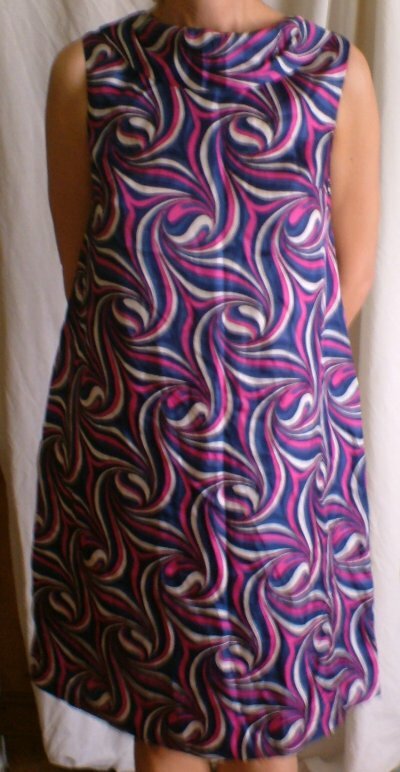 The pattern is swirly blues, fuchsia and white - just groovy, baby - and the condition is just fab!